Replacing your windshield wipers is part of your regular vehicle maintenance. You can expect to replace them annually or every few years. The lifespan of your wiper blades depends on the quality of blade and what they are subjected to. For a blade that you can rely on, come see the service experts at John Amato Chrysler Dodge Jeep Ram to get a set of Genuine Mopar Windshield Wiper Replacements in Milwaukee, WI. The major signs of needing new wiper blades are rather obvious, the blades do not clear the windshield leaving you with limited visibility. However, most of us do not think about the wipers until we need them, and then we find ourselves struggling to see the road ahead. The key is to test your wipers ahead of time so that you can act before the storm hits. You may also notice that the wipers do not form a proper seal with the glass leaving streaks or entire sections unwiped. This may be due to a bad design, a bent windshield wiper arm, or general wear of the blades. If your wiper blades are chattering or making excess noise, your blades have likely deteriorated or broken off and are not able to move in both directions freely. A non-responsive windshield wiper is a sign of a deeper issue, likely stemming from a broken wiper motor. The small plastic teeth on the gears are easily broken when the wiper is put under stress from ice, mud, or other types of obstructions. Your local experts at John Amato can also replace windshield wiper arms and wiper motors in addition to the blades. Rubber wiper blades wear down in the sun and due to moisture. Freezing temperatures and icy windshields can also tear the thin blades rendering them useless. 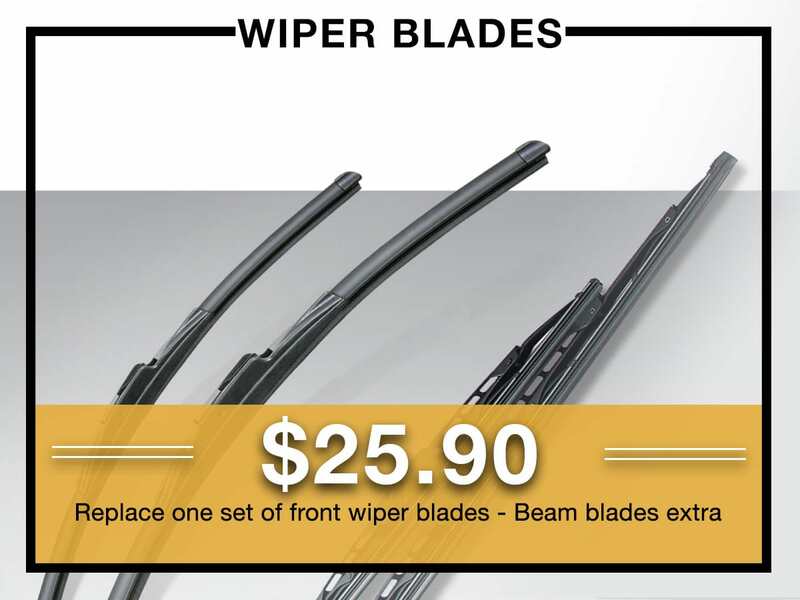 Quality blades will hold up better against harsh weather, last longer, and provide a better seal to the windshield removing the most water possible with each swipe. Genuine Mopar windshield wiper blades are made from a durable rubber that lasts longer and works harder. Each blade has been designed to fit specific makes and models guaranteed to form a perfect seal every time. The service department at John Amato Chrysler Dodge Jeep Ram carries Genuine Mopar wiper blades for all makes and models. Call or come in today to learn more about what your local service experts can do for you.